Whether it's a fender bender with the next-door neighbor or a dozen car pile-up on the highway, you'll want to know that submitting an auto insurance claim is going to help return your life to normal, not increase the size of the headache coming your way. And you shouldn't have to pay for this basic customer service like it is a luxury. Between the On Your Side® Claims Service and common policy rate discounts, Nationwide has earned our 95% member satisfaction rating. Don't hesitate to explore your options with our online tool, or talk to a East Northport auto insurance agent about specific policy choices or specialized vehicle coverage. The suburban homes that dominate East Northport's neighborhoods may avoid the tightly-packed row-houses and urban dwellings of the big city. But whether it's a swimming pool, older home construction, or interior renovations, every property has its own set of hazards and risk profile. 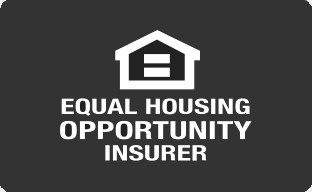 Most people know that East Northport home insurance is necessary, but few immediately know which dwelling, belonging, and liability coverage makes sense for their property and household. If you have any questions, don't hesitate to reach out to a local agent. There's a lot of life to live in a small city like East Northport. In the face of unexpected tragedy, things are not going to be like they were. The financial burden can be considerably lessened, however, if you have life insurance coverage. What kind depends on a number of household factors and personal preferences. If you don't already know what you need, our East Northport life insurance agents can walk you through the process with speed and confidence. Were not going to pretend that East Northport, proud as it is, is a major economic force in New York. On the other hand, it means that every small business firm and retail shop is that much more indispensable to the local economy. And many of the same types of insurance products (liability, property, and fleet insurance coverage) are needed by small and medium-sized businesses. Likewise, our East Northport business insurance agents don't skip any steps when managing the risks facing local companies. Don't wait to talk about how to protect what you've worked so hard to build.